In the modern economy, your POS system needs to do more than tally up your sales and store your cash. Your hospitality venue is ever-changing, with your product, pricing and promotion mix always on the move to meet the needs and expectations of your customers. Uniwell’s point of sale solutions can help you meet these challenges! Whether it be easily creating new items or options for your menu, adjusting prices to cater for changing costs or setting up meal deals or customer loyalty to help attract and retain clientele – you need a POS solution that is controllable and flexible. Add to that the improved in-house efficiency and back-office reporting that Uniwell’s range of hospitality POS solutions provides, and you have a system that meets your real needs. At Uniwell we have been developing and refining our POS technology for decades. 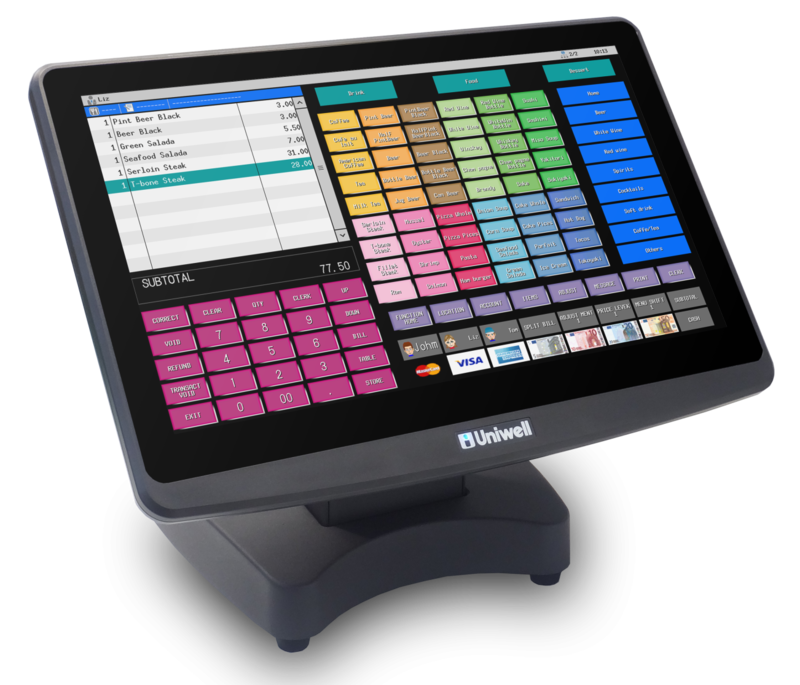 A properly configured Uniwell POS system provides superior functionality, while still being faster and simpler to use for an operator than many other point of sale products. If you are looking for a reliable, purpose built POS terminal with hospitality and promotional features designed to streamline and improve your venue, make sure you check out the HX-5500!